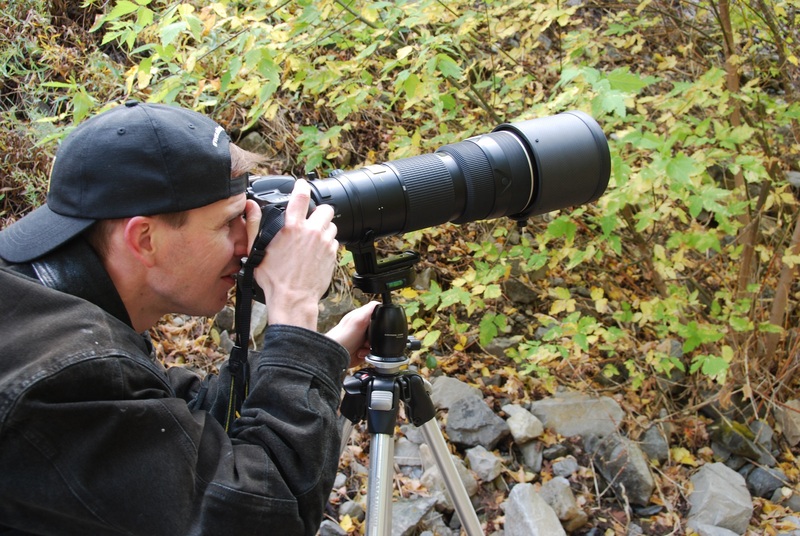 Photography Classes and Workshops in Northern Utah. I teach Photography Classes and Workshops to help you learn photography. Whether you are a beginner or have been shooting since the film days, my classes and workshops will help you improve your photography. Photography Classes are held at The Imaging Depot in Layton or the Davis Applied Technology College in Kaysville, Utah. You can register for the classes taught at the Imaging Depot on this page below. Photography Workshops taught by Dave McLelland are fun photo trips to beautiful places such as Africa, Iceland, New Zealand and the Desert Southwest of the United States with the benefit of a guided tour and a chance to learn more about photography. Workshops are limited to 5-8 participants to ensure you get the most out of your time with me. We arrange for lodging, admission to national parks and food while out shooting (depending on the workshop). Dave can help you to get the amazing photos you have always dreamed of creating, without having to worry about the logistics and major planning for some of the most amazing photography destinations around the world. Once you register for one of Dave’s Photography Workshops you will be contacted by email with instructions for submitting your deposit and additional workshop details. Your space will not be reserved until your deposit it received. Many of these Photography Workshops fill up fast so be sure to book early to ensure your once in a lifetime chance to learn photography with Dave McLelland in some of the most amazing places in the world. Most of the classes I teach are taught at The Imaging Depot in Layton, Utah. The address is 589 North Main Street. They are located directly North of the Home Depot and South of Young Chevrolet. Be sure to bring your Camera and Note taking supplies. We will cover a lot of information in the classes. Additionally, if you purchased my book, you will want to bring that as well. If you did not purchase my book you can buy the paperback edition at the Imaging Depot or online. The book is also available in Kindle Edition. Pretty much any camera will be sufficient, but this class is geared more towards the Interchangeable lens cameras such as DSLR and Mirrorless cameras. Point and shoot cameras will not offer all of the features we discuss in the class. I use a world renowned travel agency service for all of my workshops outside of the US. The guides we use know the areas we are traveling very well. This allows Dave to concentrate on the photography instruction and be available to answer your questions. What do the workshop fees include? Please see the information on the details page for each workshop. Most of the workshops include hotel and meals as well as local transportation. Most workshops do not include travel to and from the destination. My primary focus (no pun intended) is to teach you photography and help you to get the amazing shots you want. However, being a photographer, I do bring my own equipment and if presented with a unique opportunity for an image due to once in a lifetime lighting or action, I will of course take the opportunity to photograph as well, but will use this to teach by example. This depends on the workshop you select. Typically workshops around the desert southwest are quite a bit less expensive than international workshops. Each workshop is intended to provide the participants with all the travel arrangements. You can concentrate on making great pictures and having fun! Do your workshops include travel to the destination? Our workshops do not include travel to the workshop location as many of our participants come from different parts of the world. You can contact your local travel agency, or use online booking services to arrange for your arrival and departure to the workshop. Do your workshops include food land lodging? Most of our workshops will include food, local travel and lodging unless otherwise specified. Be sure to read the details carefully for the particular workshop you are interested in attending.